The Ramna Race Course Maidan was an extravaganza of green, comprising hundreds of acres. In this vast greenery, there stood another great landmark of the then Dacca, almost at its centre, there was the Ramna Kalibari, with its majestic spire towering over the clear landscape with an unobstructed view of it from a great distance. Just in front of the Kalibari, there was a magnificent dighi or pond with a beautiful ghat of brick on its northern side. Its crystal-clear water with a sheet of ripples created on its surface by the gentle-blowing breeze was a captivating sight, compelling the onlooker to take a dive. The history of Ramna starts about 1610 during the Mughal Rule, when the city was founded by Subedar Islam Khan under Emperor Jahangir. Known earlier as Bagh-e-Badshahi, the area later turned into Ramna. 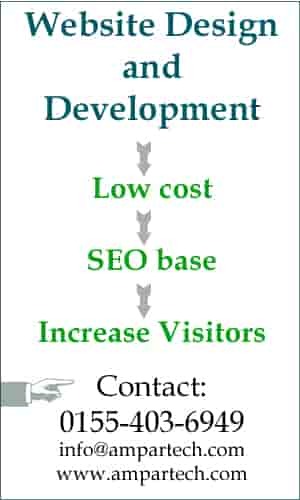 At that time two beautiful residential areas were developed in the northern part of the city. One of them, the Muhalla Chistia and the other is Muhalla Shujatpur. 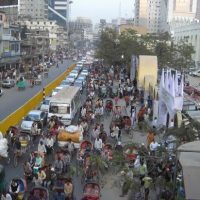 The greater Ramna covers Azimpur, New Market and Dhanmandi to the west, Secretariat building, Curzon Hall and chankhar Pool to the south, Purana Paltan, Segun Bagicha and Rajarbagh to the east, the Central Road, Paribagh and Eskatan to the north. Ramna started to regain its glory since 1825, when Mr. Dowes, a British collector of Dhaka cleared up and demolished most of the tombs and monuments, except the Ramna Kali Mandir. The old mosque and tomb that now stand by the western side of old High Court building also remained untouched. The renovated area was given the name of Ramna Green and was fenced by a boundary for using it as a racecourse. 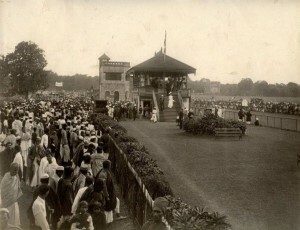 The horse race became very popular in Dhaka under the patronisation of the Nawabs of Dhaka. 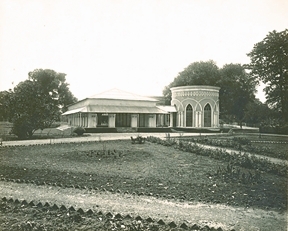 A stable was built for the horses of the Nawabs of Dhaka at Katabon. In 1851 the European civil servants established the Dhaka Club on the northern corner of the racecourse and after the partition of Bengal in 1905, during Lord Curzon, Ramna was chosen to locate the governor house of the new province of Eastern Bengal and Assam. The government house subsequently became the High Court building (old High Court). The establishment of Dhaka University in 1921 enhanced the importance of the area. After the partition of India in 1947, the Ramna continued to occupy an important place in the history. A new road from Shahbagh to the Eden Building was constructed and eastern side of the road bifurcation the entire area into two parts, the smaller one started to be known as the Ramna Park and the bigger part remained to be known as Ramna Racecourse. During the year 1947-48, the then Dacca was a sleepy town. There was no motor cars, no buses, no trucks or any motorised vehicles. There were only horse-drawn carriages, occasional rickshaws and a population of about 2-3 lakhs. Ramna, in those days was considered rather a ‘remote’ place from the main Dacca town. People generally did not frequent this sparsely inhabited area. But only once a week, on Sundays, many people thronged to the Ramna Race Course Maidan to witness or bet on, the horse racing that was fashionable in those days, under the patronisation of Dacca Gymkhana Club (whose remnant is the present Dhaka Club). 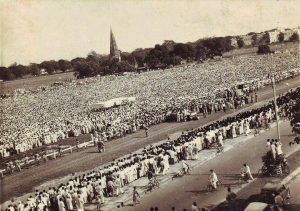 Ramna Race Course Maidan has been the hot-spot of many historical events of the country – starting from the first and last public meeting of Quaid-e-Azam in 1948, the historic 23rd March. In 1969 a civic reception was accorded to Sheikh Mujibur Rahman on his release from Jail and was accorded title of Bangabandhu. On 3 January 1971, a huge public meeting was arranged to accord public reception to the elected members of the National Assembly of 1970. It is the resting-place of three great national leaders, Sher-e-Bangla A.K. Fazlul Huq, Khwaja Nazimuddin and Huseyn Shaheed Suhrawardy, the place being renamed in honour of the latter. The place is also etched in history as it was here that Sheikh Mujibur Rahman made the first of his stirring speeches in March 7, 1971. The original Flag of Bangladesh was also hoisted here for the second time since it was first unfurled at the University of Dhaka and the first time it was flown at such a large public gathering in Bangladesh. 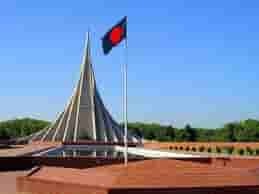 Incidentally it became the setting for the surrender of Pakistan Army under Lt. Gen. AAK Niazi on December 16, 1971 after their defeat in the Bangladesh Liberation War to the allied forces of Mitro Bahini. The instrument of surrender was signed at this place. Bangladeshi’s celebrate the date as Victory Day. The place is currently maintained as historic park with an eternal flame setup in 1996 to symbolise freedom. Ramna Race Course Maidan was renamed as Suhrawardy Uddyan after the Liberation of Bangladesh, when horse race was banned and is now surrounded on the south by Institute of Food Science, Bangla Academy, Atomic Energy Commission and the Teachers Student Centre; on the south-west by Dhaka University Library, the Mosque of Dhaka University, the mausoleum of national poet Kazi Nazrul Islam, Institute of Fine Arts, Central Public Library and the National Museum; in the north, there are Bangabandhu Sheikh Mujib Medical University (BSMMU), BIRDEM Hospital, Police Control Room, Dhaka Shishu (Childrens) Park, National Tennis Complex, Dhaka Club, remnants of Ramna Park and the Institute of Engineers; in the east, there is the mausoleum of three leaders and Bangladesh Shishu Academy; in the south-west, there is Ministry of Defense and Bangladesh Supreme Court.